Sleek, sophisticated and timeless, Michael Kors’ Marrakesh sunglasses are designed with a simplistic, feminine silhouette. A curved bridge allows for all day comfort while the classic cat-eye shape is flattering to many face shapes but is especially suited to oval and round faces. The arms feature the MK logo as a standalone metal detail built into the arms and the lenses offer a gradient color-palette that protects against all UVA, UVB and UVC rays. 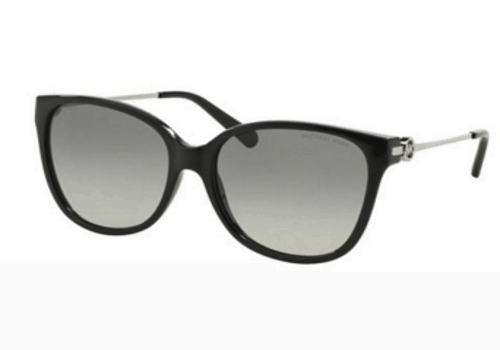 A plastic frame with metal composite arms and adjustable arms make these sunglasses comfortable and stylish, either for casual wear or dressing up.